Side 1 printed with four-color process. Side 2 printed with 1 PMS color using heavy coverage. 14pt C1S Semi-Gloss stock coated with Aqueous Gloss. 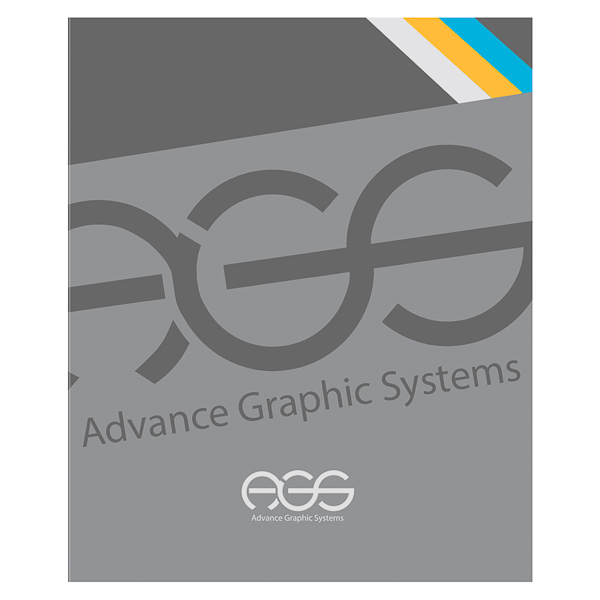 Advance Graphic Systems plays with lines and space to create a 3D effect. Blue, yellow, and white stripes brighten up the gray panels, highlighting an info flap on the right. A picture of the design firm's manufacturing area shows its production of graphics and décor for retail stores. Black panels with lime green pockets spice up the interior with a vibrant, memorable design. Four-color process printed on Side 1 of 12pt C1S White Semi-Gloss stock coated with Aqueous Gloss. B2 brochure slit on left and right pockets with H1 business card slits on center pocket. The HomeoPet and Verde logos subtly decorate the front and back of this folder. Images of dogs being rescued and cared for appear on the front cover. 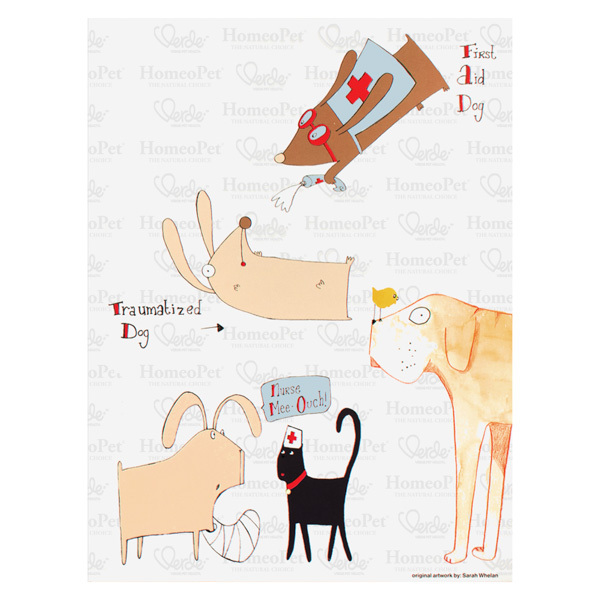 Logo branding continues inside on the right panel where customers can find information about HomeoPet, as well as the company vision. More animals are on the pockets and the back, along with company contact information. Four-color process printed on both sides of 12pt C2S Semi-Gloss stock. Coated with Aqueous Gloss. H4 business card slits on left pocket. World Savvy fosters students' interest in global affairs by giving them a colorful look at young people around the world. Each photo in the mismatched row is colorized and cropped to put most of the subject beyond the photo's borders, an allusion to the organization's tagline. Larger stripes on the right panel give recipients a close-up look at the subjects. 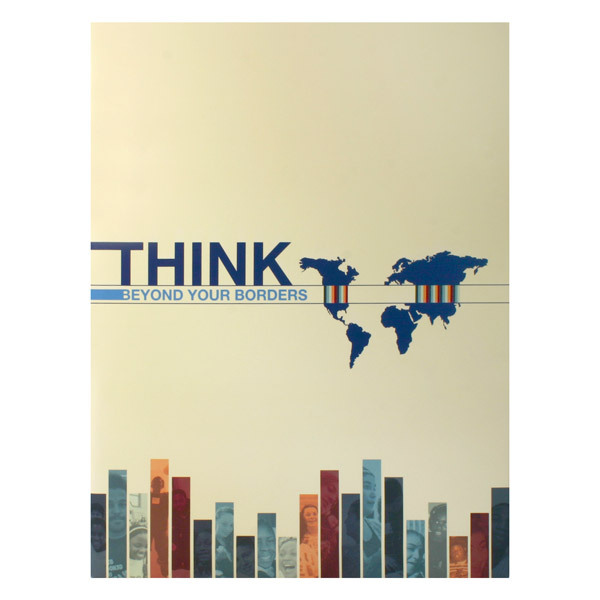 The tri-panel layout is more than just a fun photographic piece—its pre-labeled pockets sort documents into general, program, and opportunity information, so students can stay organized with ease. Four-color process on Side 1 of 14pt C1S White Semi-Gloss stock with Aqueous Gloss coating. Curve Dental stands out in its industry with an atypically artistic cover design. 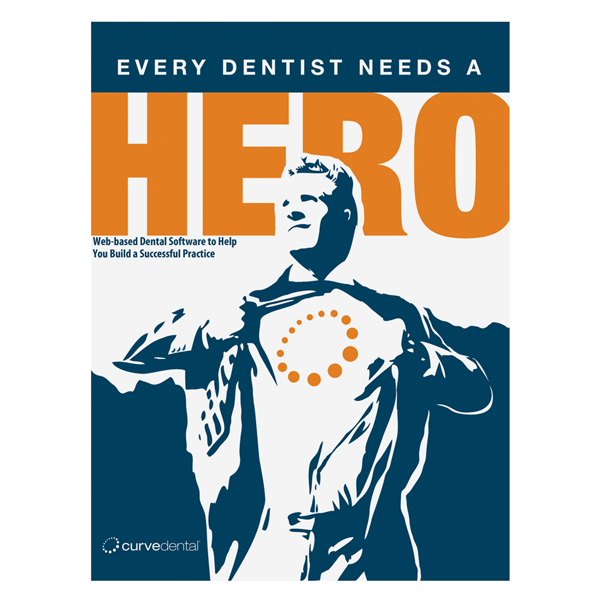 Replacing the usual images of smiling dental technicians in white lab coats, contrasting blue and white areas use shadows and outlines to create an illustrated male character striking a heroic pose as he reveals the superhero symbol on his T-shirt. The bright orange accents emphasize the man's identity. Inside, three pockets reverse the cover's color scheme, putting blue accents on an orange backdrop. Step-by-step instructions run from left to right across the three interior panels in a logical sequence, while the outer right panel holds more important information about Curve Dental's office management software. Three interior and exterior panels let you create six different designs or—better yet—establish a recurring theme throughout the product. Triple pockets organize 8 1/2" x 11" print materials. The left pocket is first to be revealed and is the most mobile, making it better for light reading and fewer papers, while the right pocket is protected under two panels for maximum security. The unglued center pocket is perfect for securing your most important documents, as this panel is the least mobile.